Another important process in QuickBooks Online is setting up bank feeds. It's good that your here because we are going to walk you through how to do just that in this QuickBooks Online tutorial. But first, we are going to go through the benefits of bank feeds! 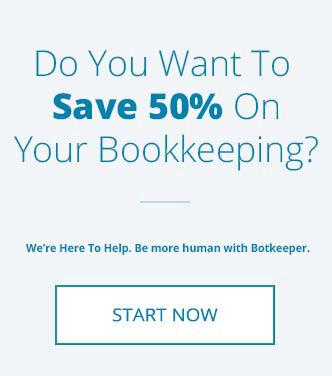 One of the most difficult parts of small business bookkeeping is manual data entry. 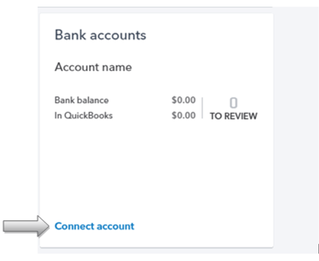 Quickbooks Online helps by minimizing the amount of data that you have to enter by connecting directly to your online banking. 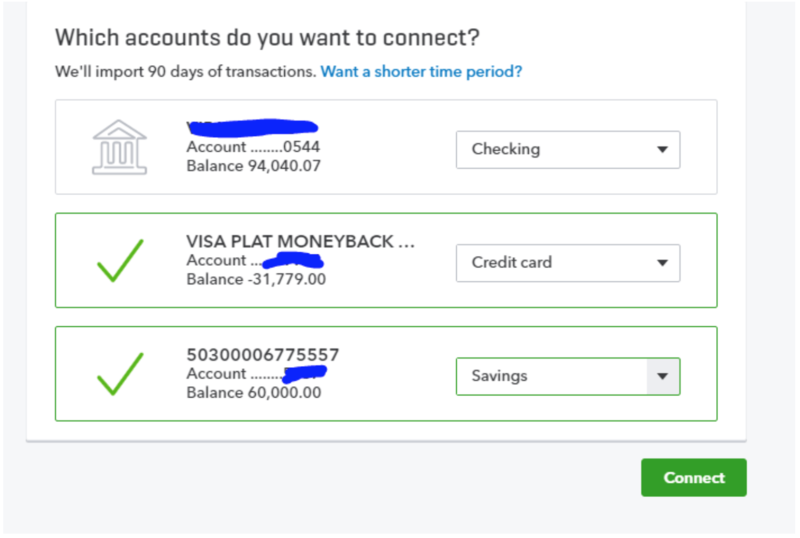 When you connect your bank or credit card accounts, it automatically downloads transactions everyday and enters them in. 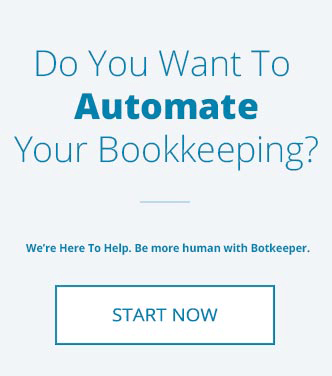 Instead of manual data entry where you have to process the transactions as often as they are downloaded, bank feeds help you automate your bookkeeping. It also improves bank reconciliation and makes it easier to reconcile the accounts at month end. On the “Home Page”, click on “Connect Account” as shown in the picture below. You will be taken to a new screen. 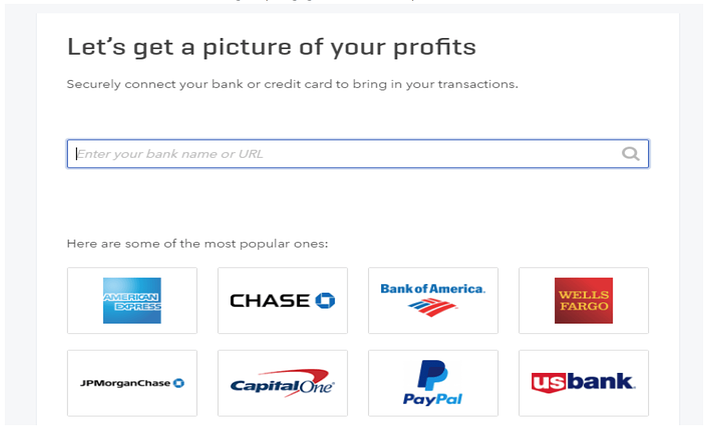 Here, enter the name of your bank/financial institution and click the magnifying glass to find your bank. If your bank is listed as above, click on the bank name. Once the bank is selected, the following screen will appear. After you fill in the required information, click on "Sign In". 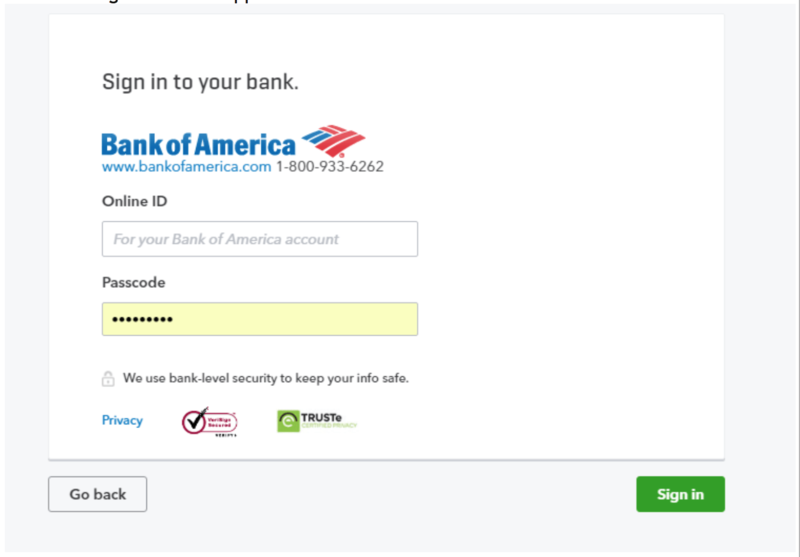 Please note that the details here are the same as the credentials you use to login into your online banking. 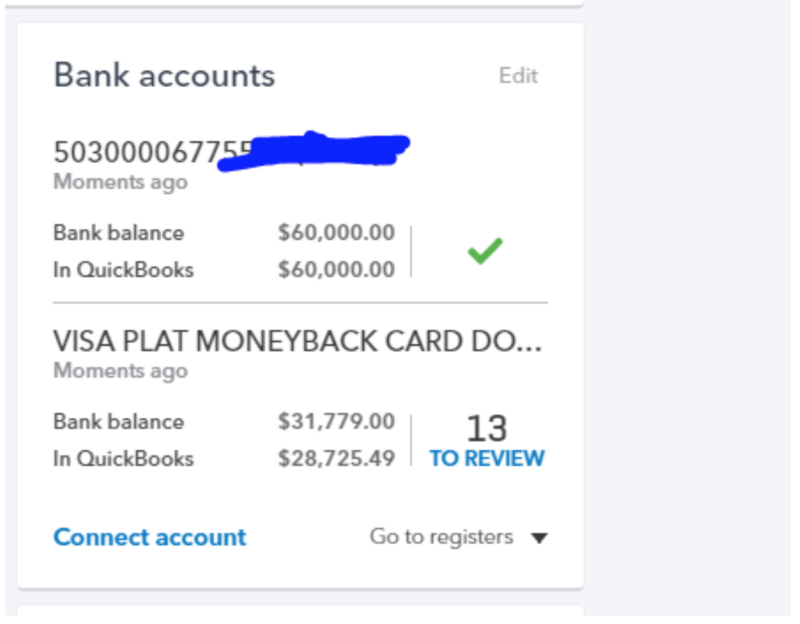 When you click on "Sign In", Quickbooks will connect to your bank account. If you have more than one bank/credit card associated with your bank login ID, it will ask you to select the type of account. Select the type of accounts and click on connect. Once connection is complete, it will take you to the following screen where you can manage your transactions. 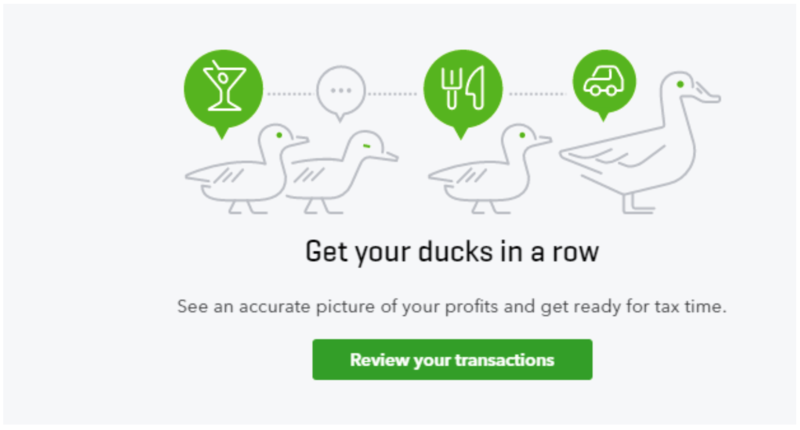 On the Home page, Quickbooks will tell you that there are transactions in accounts connected to work upon. 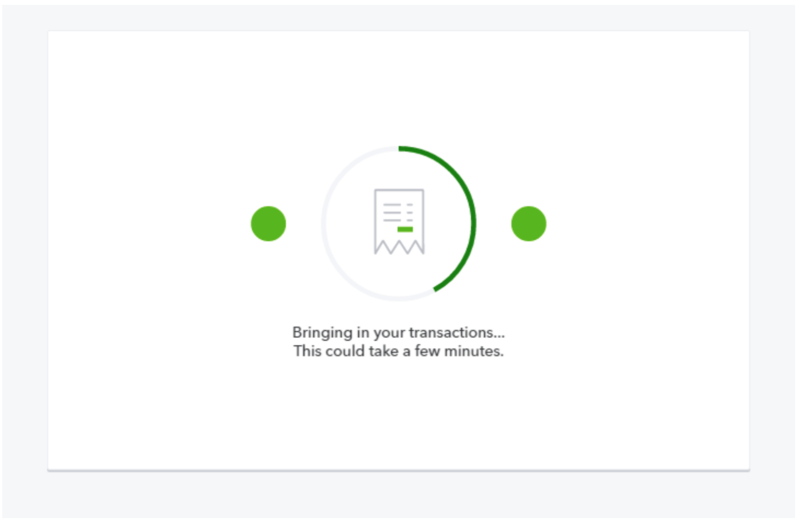 The number above "TO REVIEW" indicates the number of transactions waiting to be processed. Click the account to view the bank feeds. There are three tabs in this screen: For Review, In Quickbooks, and Excluded. For Review: This tab includes the most recent downloaded transactions. This is where you will process downloaded transactions on a regular basis. In QuickBooks: In this tab, there are transactions which already have been processed. Excluded: In this tab you will find transactions that have been marked as Excluded. Under “For Review”, you will notice that there are several types of categorized transactions. 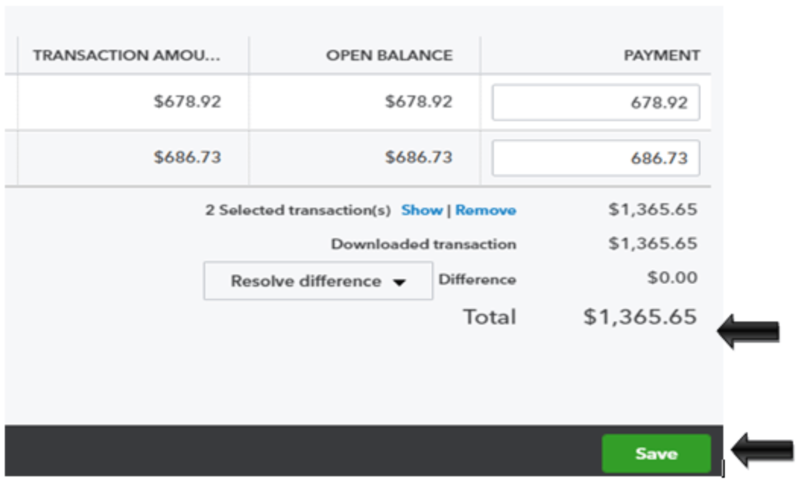 A "Matched" transaction is one that QuickBooks has recognized from the bank feed that matches anexisting transaction. This is done to avoid making any duplicate entries. You can click on the Find match button and it will open a new screen. In the search column, type the transaction reference you want to match and click on the magnifying glass. It will list all the transactions matching the search criteria. Check the checkbox on the left hand side for the transactions you want to match. On the bottom right side, make sure the difference is zero and click on “Save”. This will match your transaction and will take you again to the “For Review” screen. 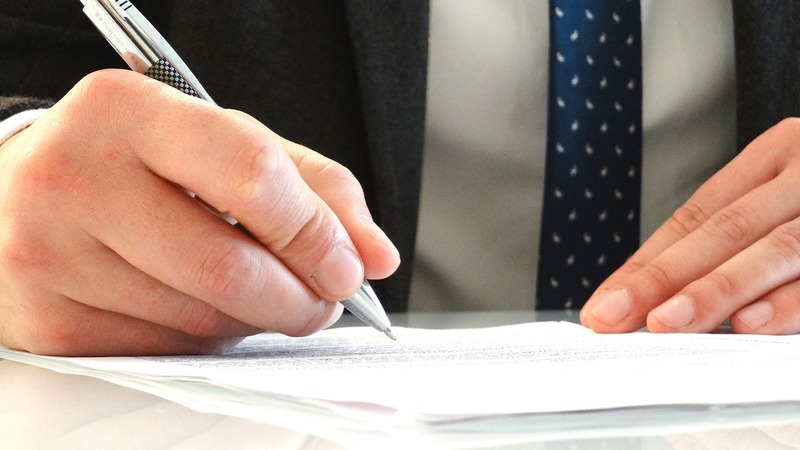 Fill in the Payee/Customer, depending upon if transaction is received or spent in/from the bank account. Here we are adding a spent transaction. In the next column, fill in the relevant expense category and click on “Add” to add the transaction. All such Added/Matched transaction will appear under the “In Quickbooks” tab. You can also ignore a transaction if it is not required to be accounted for in Quickbooks. To exclude a transaction, click on the checkbox on the left hand side. From the “Batch actions” dropdown, select “Exclude Selected”. Once excluded, these transactions will appear under the “Excluded” tab. You can continue to broaden your knowledge on Quickbooks online here!